Winter months are long and hard with limited food trucks out around town. Most trucks go into hibernation mode around the end of November and emerge in the spring. 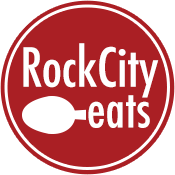 Trucks will be back out starting this week (weather permitting) for some of the best food in town. Some of the go-to food truck meets are even receiving an update. One of the most popular, Westover Wednesdays, will be adding vendors and live music this year. Here is a roundup of meets and key areas to keep an eye on in the coming month. March 10th – Good Earth Garden Center: Good Earth Garden center has a monthly meetup on the 1st Thursday. Will start back on 1st Thursday in April. 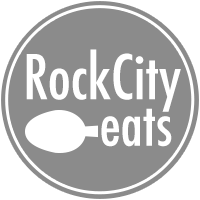 March 15th: Rock City Tailgate – Our very own food truck meetup. We have received a lot of requests for a spring meeting in addition to our fall trucksgiving. We are going to partner with the Little Rock Trojan baseball team at Gary Hogan Field for this meetup. Runs from 4-7(ish). March 16th – Westover Wednesday’s: This meetup is typically the second Wednesday every month at the Westover Hills Presbyterian Church parking lot 5-8pm. The start of the season has been pushed back a week due to weather concerns. March 28th – St Margaret’s Monday: The monthly meetup at St. Margaret’s Episcopal Church happens the 4th Monday of each month. – Ongoing Trucks: These meet regularly (typically daily), however expect the number and variety of trucks to increase this month. Food Truck Stop/Station 801: The latest attempt at a food truck park in Little Rock runs daily during the week 11-2 and sometimes on the weekends. They do not always post the trucks of the day on their F, but this seems to be getting (a little) better. Bernice Garden – The monthly food truck meet at Bernice will begin in April. Third Thursday in Benton – The regular meetup in Benton will not take place in March. We hope to have a big announcement for this meetup in the coming weeks.